The remains of a stellar explosion that appear in Earth’s sky in 1604. Pubblicato 19/03/2013 alle 864 × 864 in Così esplose la supernova di Keplero. Over 400 years ago, Johannes Kepler and many others witnessed the appearance of a new “star” in the sky. Today, this object is known as the Kepler supernova remnant. Previously, astronomers have deduced that the Kepler remnant comes from a so-called Type Ia supernova, which is the result of a thermonuclear explosion of a white dwarf. New data from Chandra suggest that this white dwarf exploded after pulling material from a companion red giant star, and not from the merger with another white dwarf. 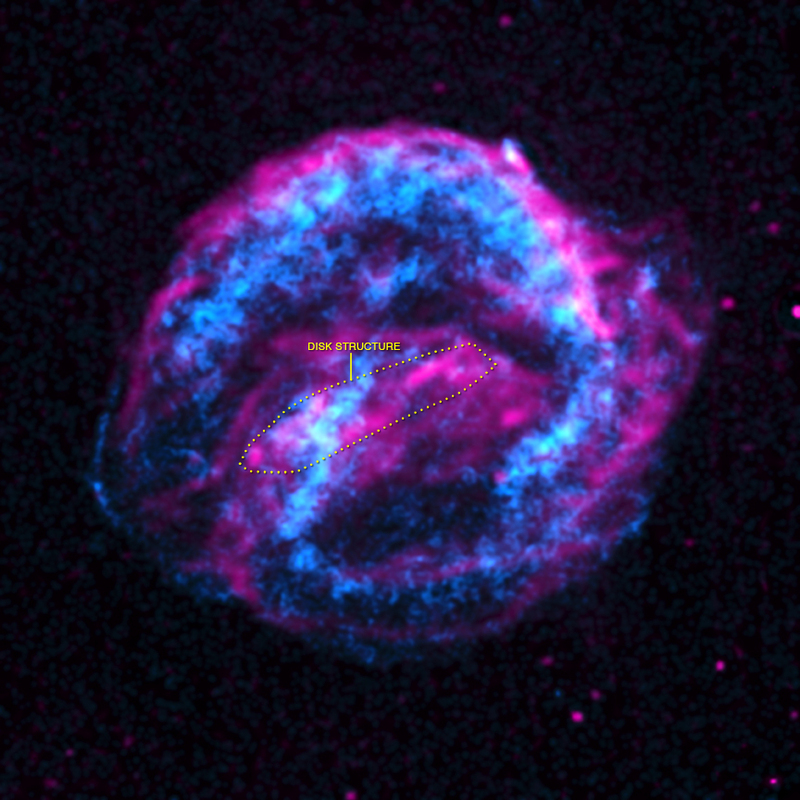 In this image, data from Chandra are colored red, green, and blue to show low, medium, and high-energy X-rays that have been combined with an optical image of the field.